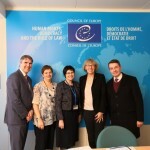 The ENOC Bureau held its first meeting for 2019 on 15 January 2019 in the “Agora” building of the Council of Europe in Strasbourg, France where the ENOC Secretariat is based since 2008. Among others, the Bureau discussed and agreed on a number of critical issues for the Network such as planned activities, events and projects to be launched and implemented in 2019, but also administrative, financial and operational issues. 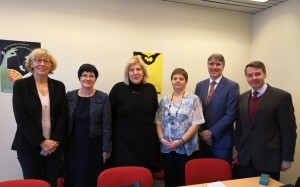 On the same occasion, the ENOC Bureau carried out a contact meeting with the new Council of Europe Commissioner for Human Rights, Dunja Mijatović, who took up the function on April 1st, 2018. The ENOC Chair, Geneviève Avenard, briefly presented the Network – membership, operation and role – and the most recent thematic focus of ENOC’s work. The Chair talked about ENOC’s strengths and remaining challenges and treats. Discussions also touched upon more institutional issues such as freedom of expression of Ombudspersons for Children when addressing their respective Governments and the need to strengthen the mandate of Independent Children’s Rights Institutions (ICRIs) across Europe as well as the risks and treats ICRIs are continously facing. On the other side, Commissioner Mijatović committed to continue its predecessors’ intensive work in the children’s rights field whether during country visits or in its thematic publications or specific Human Rights Comments. Together they discussed how to create better synergies between the Commissioner’s office and ENOC and individual ENOC members, and how to support each other in advancing the protection and promotion of the rights of all children, especially of the most vulnerable ones, in Europe. The ENOC Chair-elect, Koulla Yiasouma, host of the coming ENOC 2019 Annual Conference, invited the Commissioner to participate in ENOC’s most important annual event addressing this year children’s rights in the digital environment. 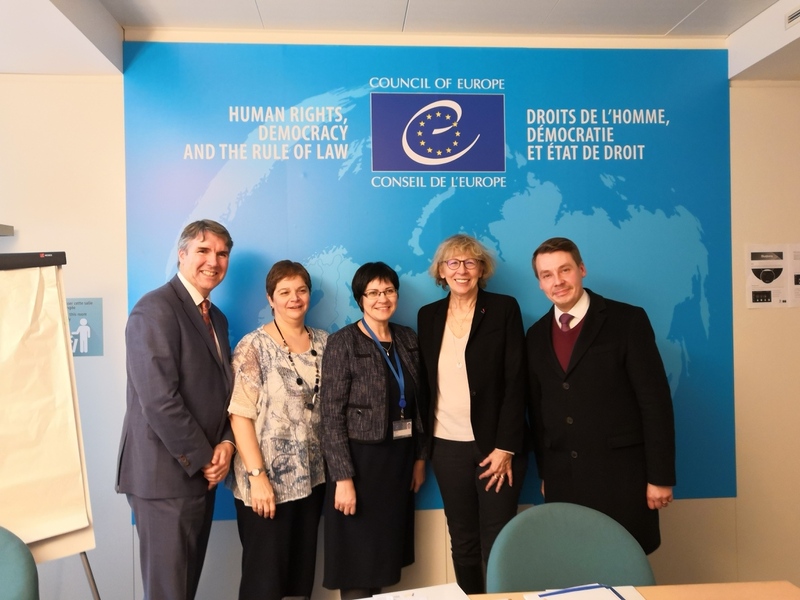 The Bureau also held a meeting with Regina Jensdottir, Head of the Council of Europe Children’s Rights Division, who informed the Bureau of the most recent work and achievements of the Council of Europe in the children’s rights area. Among those, Regina presented the ‘IT package’ and the recently adopted recommendation on Guidelines to respect, protect and fulfil the rights of the child in the digital environment, the revised Internet Literacy Handbook, and other materials and instruments related to the protection of children from sexual abuse, sexting, etc. She also mentioned the newly adopted Handbook on how to convey child-friendly information to children in migration (a handbook for frontline professionals) and her near future plans to elaborate a manual on child participation methods/methodologies. The 2nd Bureau meeting for 2019 will take place on 2-3 April 2019 in Brussels, Belgium.